In each of the last five years, and in nine of the last ten years, the Honda CR-V has been the best-selling SUV. But during that streak, the Ford Escape was the dominant SUV/crossover in Canada. Up until 2016, when the Toyota RAV4 stole the crown. Can 2017 be the Honda CR-V’s year to claim top honours in Canada, following in the tracks of the Honda Civic, Canada’s best-selling car in each of the last nine years? 2017 began well for the CR-V, newly launched in late December in fifth-gen form. CR-V sales jumped 40% despite limited availability of top trim 2017 CR-Vs. The CR-V wasn’t the only surging utility vehicle, either. 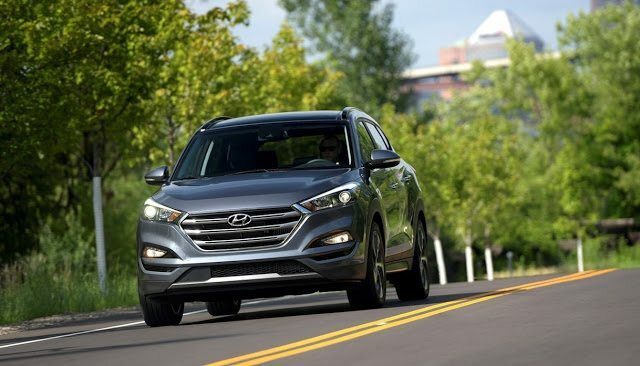 The Hyundai Tucson jumped 34%, third among the gains reported by the ten top sellers, and all twelve of the most popular utility vehicle nameplates in Canada sold more often in January 2017 than in January 2016. Historical monthly and yearly sales figures for any of these best-selling SUVs and crossovers can always be accessed through the dropdown menu at GCBC’s Sales Stats page, and for those not viewing the mobile version of this site, near the top right of this page, as well. Mobile users can now thumb across the table for full-width access. GoodCarBadCar has already published the list of Canada’s best-selling trucks in January and will shortly publish a list of Canada’s most popular cars.